The King of all vampires was born to bring evil to the world. Rayus is now baffled by an angel that had walked into his club. Her pureness draws him, and he can't wait to get his hands on her. But will her goodness be too much for him? Santana rushes in once more to save her sister. A dark club, and a mysterious voice, throws her for a loop. When she finally meets the man behind the voice, her life gets thrown into the flames. 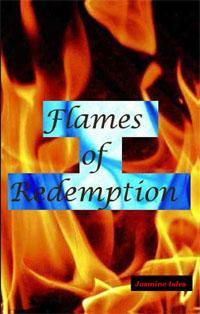 Can she survive The Flames of Redemption?